Cute Panda Pink Heart Badge. 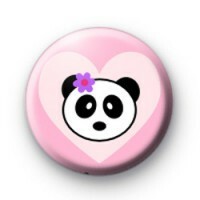 A cute pink button badge with a pink heart design featuring a panda wearing a flower in it's hair. So cute.